Bad news is on the horizon if you’re one of the surprising number of people still using Windows 7. Microsoft is only offering one more year of free support. As of January 14th, 2020, you’ll no longer have access to critical security updates. However, after the date listed above, they’ll have join the Windows 7 Extended Security Update program, and they’ll have to pay a fee. Worse, that fee will increase every year. Enterprise users with volume-licensing agreements will get a discount on the fee, but even then, support will vanish completely by January 2023. Microsoft will also be providing ESU’s for no cost to customers who purchase the Microsoft Windows Virtual Desktop service, which allows users to virtualize both Windows 7 and Windows 10. Note that in a related vein, the company will stop supporting the Office 365 ProPlus plugin for Windows 7, and that the company has a whole raft of products they’re ending support for on January 14th, 2020. None of this should come as a surprise. After all, Microsoft has made its support timeline public. 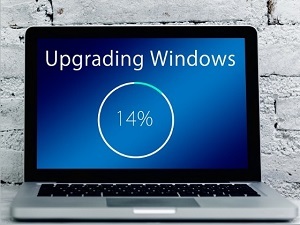 Even so, there are several companies running legacy applications that rely on Windows 7, and many of them don’t yet have migration plans in place. If that describes your company, there’s still time to begin making those plans, but the clock is ticking. Further inaction is bound to cost you, which is going to start impacting your bottom line. The company has drawn a hard line here, and it’s highly doubtful that pleas from consumers will prompt them to offer more of an extension than they already have. With that in mind, your best bet is to start making plans to switch or upgrade now.